Hannah Arendt once said that the greatness of man “consist[s] in the human ability to do things and to speak words that are deserving of immortality” (Culture and Politics, 188). Over the course of history, civilizations have attempted to reach immortality in different ways; examples range from the construction of the Library of Alexandria, to the rapid military expansion of the Mongol Empire in the 13th Century under the reign of the Genghis Khan, to the writing of the great tragedies like the Antigone by Sophocles. According to Arendt, however, “a tension and a possible conflict between politics and culture” emerges in the development of these civilizations, “which the aesthete seeks to resolve in favor of culture […], and the politician in favor of politics.” In this essay, I will explain how Prussia, under the government of Frederick II (1740-1786), managed to reach “Immortality” by finding an equilibrium between politics and culture. By politics we mean that sphere in which men and women come together “to perform” or exercise their freedom through conversation and debate. We might imagine anything from a debate in the House or the Senate to Martin Luther King, Junior’s speech for the March on Washington in 1963 to President Obama’s second inaugural address on January 21, 2013. Because politics depends upon acting, thinking human beings coming together to judge and discern a right course of action in relation to a particular issue, it is by nature transient and impermanent. For Arendt, the ideal understanding of politics comes from the Greeks, who believed that “Wherever you may be, you will constitute a Polis” (188). This is a belief in the political freedom of any citizen, regardless of name, status, or ethnicity, a privilege that was to be maintained as long as the “relationship established through acting and speaking among human beings remained intact” (188). Early civilizations like ancient Greece took pride in the Gravitas, the “solemnity and dignity” of being a citizen. “The power of the polis,” said Pericles, “was great enough for the monuments to its fame to grow directly out of action, and thus out of the political itself” (187). Such civilizations aspired to glory by making the “things that are said and done” immortal. Early civilizations like ancient Greece took pride in the ‘Gravitas’ , the ‘solemnity and dignity’ of being a citizen. Politics is limited to the finite lifetime of a generation. Culture, instead, aims at the achievement of immortality and imperishability. For Arendt, the desire for culture does not derive from a primordial need but rather “from a desire to erect a dam against one’s own mortality, to place something between the perishability of man and the imperishability of nature that serves as the yardstick for mortals to measure their mortality” (189). Over a long period of time, this concept acquires more significance than the mere political actions of an individual. Culture, then, becomes the hallmark of an accomplished and enduring society: “The more these correspond in people with the destiny of man, the more culture will be attributed to them, just as a piece of land is said to be more cultured and cultivated, the more it is brought, through the industry of men” (Mendelssohn, 54). Arendt claims, however, that the Greeks failed in the task of celebrating and giving importance to culture: “Here we can clearly hear that it is the polis, the political, which limits the love for wisdom and the love for beauty” (Arendt 186). This tension and imbalance would eventually be solved by a young kingdom, formed in the heart of the European continent, born from the minds of great intellectuals and influential leaders. From the mere title of duchy, Prussia was finally upgraded to kingdom in 1701 with the coronation of Elector Frederick III, who named himself King Frederick I. Under the rule of Frederick, a variety of territories ranging from central Germany to modern Lithuania were united under one crown . Frederick was a strong military leader, and his vision for the future of Prussia was a “modern kingdom” of a greatness and splendor equivalent to that of Louis XIV of France, but inspired by rationalist principles and his experience in the army. He founded the University of Halle, started the Prussian Academy at Berlin and built palaces closely modeled on Versailles (Horn, 2). Frederick William (1688 – 1740), the son of Frederick, however, took the nation in a completely opposite direction starting from 1713: “Taken up with the problems of power, he devoted his life to creating an army and a centralized bureaucracy, whose primary function was to raise taxation to pay for his army” (Horn 5). As only the second king ever to ascend the throne of Prussia, Frederick William believed his first and more important task was to expand the territory of his kingdom. Despite its initially small size, under Frederick William’s rule, Prussia became a respectable nation among the other European superpowers: “By 1740, the Prussian army of 83,000 men was the fourth largest in Europe” (Horn, 5). This concentration on the military aspect of politics, however, prevented Frederick from establishing a functional public sphere. 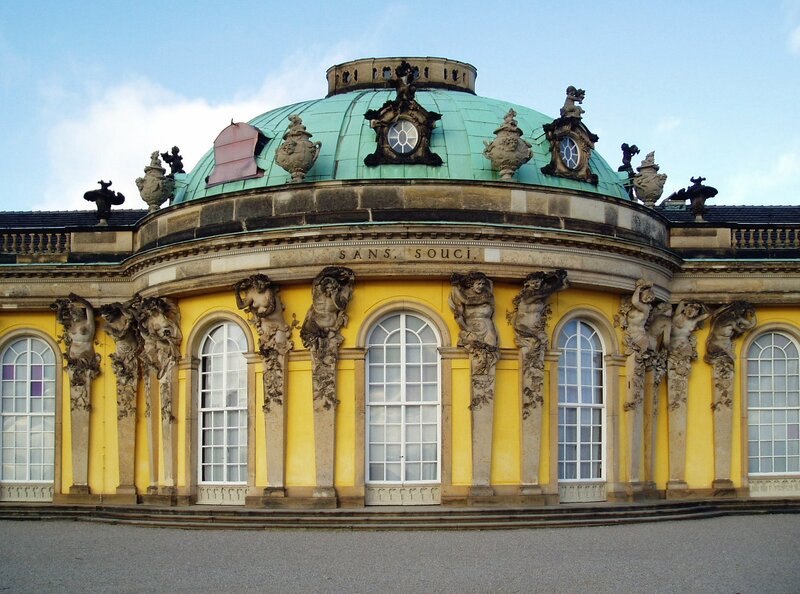 Sanssouci, the summer palace of Frederick II, King of Prussia at Potsdam often counted among the German rivals of Versailles. While “building” his kingdom of Prussia, in fact, Frederick William fell into the temptation of becoming an homo faber. Because he ruled a young nation that had yet to define its own identity, the king had the opportunity to start from a tabula rasa. He was the creator of his own world and therefore felt compelled to “form” his subjects as well. Therefore he ruled strictly and absolutely, in a fashion similar to the totalitarian leader of the twentieth century: “He concentrated fiercely on establishing royal despotism throughout his scattered dominions” (Horn, 5). This form of government was not very different from the rest of the monarchies in Europe in the eighteenth century. The rigid, absolutist Prussian government froze the social and political sphere of the nation. There were no citizens, but only subjects guided by a single leader who neither sought the advice nor valued the opinion of his people. The way in which Frederick II (1712 – 1786), the son of Frederick William, was reared was in many ways similar to the strict and militant policies of his father. David Horn, in his book Frederick the Great and the Rise of Prussia, describes the precise and demanding schedule of the young scholar: “About this time Frederick William prescribed in elaborate detail the way in which his son should spend every hour of every day of every week” (10). Frederick grew up with a rigorous, modern education: “Mathematics and especially the science of fortification were essential. Political economy and international law were to take the time usually occupied by Latin” (11). This, however, did not prevent the future king from committing himself to a restless pursuit of knowledge and enlightenment even after his childhood: “His capacity for self education was limited only by the limits of physical endurance” (28). He expanded his knowledge in all sorts of academic fields, studying writers and thinkers from every century; he “had been much impressed by the metaphysics of Leibniz as expounded on by his pupil Wolff, but at Rheinsberg this gave way to the skepticism of Bayle and Voltaire” (31). His fascination for culture and the great texts on one hand, and the strict education received by his tyrannical father on the other, largely influenced the reign of the king. Upon his coronation in 1740, Frederick II, who has been remembered by historians as Frederick the Great, found himself in a difficult time in history. Most of the monarchies in Europe were governed by leaders who claimed that their power was inherited by divine right. Despite the numerous religious scissions started by figures like John Calvin and Martin Luther, and despite the great scientific revolutions of Copernicus and Galileo – which shook the Church’s conception of the universe – and the constant decrease of the Vatican’s power, the long shadow of religious institutions continued to inhibit the development of an accessible secular culture. The formidable academic preparation of the young king, however, allowed him to change the political sphere of Prussia once and for all. His coronation was praised by different figures of the French Enlightenment, like D’Alambert, who said: “The philosophers and the men of letters in every land have long looked upon you, Sire, as their leader and model” (Horn, 3). Throughout his reign, the king often invited eminent intellectuals from all over Europe, one of the most famous being Voltaire: “The close relationship between the most famous writer and the most charismatic ruler of the century could not help but propagate the image of le roi philosophe” (Scott, Enlightened Absolutism, 275). Frederick, then, became a roi philosophe, a philosopher king who, after studying great books in his youth, applied the knowledge he had acquired for the interest of his people. Frederick’s reign took place during the century of the Enlightenment, a cultural movement that emphasized reason and critical thinking skills. “Sapere Aude!” writes Kant in his own What is Enlightment? “Have the courage to use your own understanding! is thus the motto of the enlightenment” (Kant, What Is Enlightenment?, 58). This movement aspired to the intellectual independence of man from dogmas and other absolutist powers. Frederick borrowed some ideas of this movement and applied them to his government, introducing a few political innovations, one of them being religious tolerance. This idea, at the time, was not obvious to many leaders: “It should be remembered that it was still possible in France, in 1776, for a youth to be sentenced to have his right hand cut off […] for uttering some childish blasphemies” (Scott, 262). This change suddenly allowed a citizen to express his or her opinion without the fear of being challenged or persecuted by a religious authority: “So called religious freedom came to insure what was historically the first area of private autonomy” (Habermas, The Public Sphere, 51). This autonomy became more and more important as a new political sphere was developed among the Prussian population. The next innovation that Frederick introduced was the freedom of the press . This idea is a political change that further distinguished Prussia from the other “enlightened” monarchies of Europe. Journalists, writers, and scholars were free to publish any type of document to express an opinion or to start a debate. This invention gave enough momentum to Prussian society to establish a dynamic social sphere, where people benefited from a political freedom much like the members of a polis; just like members of a polis, the citizens of Prussia finally had the ability to influence the politics of their nation as a uniform body. According to Habermas, political freedom is necessary for such a body to exist: “Citizens behave as a public body when they confer in an unrestricted fashion – that is, with the guarantee of freedom of assembly and association and the freedom to express and publish their opinions – about matters of general interest” (Habermas, 49). This was a new dimension of freedom that finally gave a voice to the Prussian population. This voice was free to possess and express a personal opinion that could be shared by a multitude of citizens: “It was at that time that the distinction of ‘opinion’ from ‘opinion publique’ and ‘public opinion’ came about” (50). Citizens behave as a public body when they confer in an unrestricted fashion – that is, with the guarantee of freedom of assembly and association and the freedom to express and publish their opinions – about matters of general interest. With these innovations, the population was now able to give birth to what Habermas calls a public sphere. This sphere was independent, meaning that it was unaffected by the pressures of monarchs and governments: “Although state authority is so to speak the executor of the political public sphere, it is not part of it” (Habermas, 49). The significance of freedom of the press, however, went far beyond simple political principles. The press, the entity that published written thought, became a platform for debate and social inquiry: “public opinion can by definition only come into existence when a reasoning public is presupposed” (50). 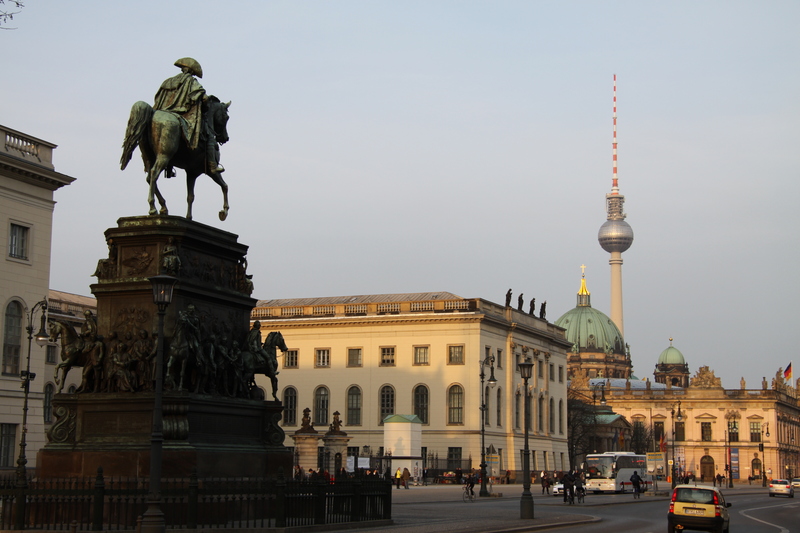 During the reign of Frederick II, in fact, many thinkers such as Voltaire, D’Alambert, and Mirabeau were invited to the Academy of Berlin, promoting the diffusion of culture in the young nation. The Prussian public, as a collectivity, experienced an enlightenment, an awakening from the dark times of prejudice, totalitarianism, and religious dogmatism. For Kant, an awakening starts from this simple concession of freedom: “For enlightenment of this kind, all that is needed is freedom. And the freedom in question is the most innocuous form of all–freedom to make public use of one’s reason in all matters” (Kant, 58). This invention became a way of giving the population a medium for expanding knowledge and elevating thought. Public opinion can by definition only come into existence when a reasoning public is presupposed. By establishing a public sphere, Frederick II solved the problem introduced by the homo faber. His kingdom re-established a balance between the cultural and the political that was lost under the kingdom of Frederick William. In Culture and Politics, Hannah Arendt demonstrates that previous civilizations were unsuccessful in reaching a similar balance. She explains, for example, how, in her analysis, “the middle ages may anyway be disregarded, since its public space in particular was not shaped by primarily secular, earthly forces.” She also adds that “the question of the relation between culture and politics is a secular question and therefore cannot be decided from the religious point of view” (Arendt, 184). Once again, we understand how religious tolerance has allowed the citizens of Prussia to exercise cultural and political freedom, thus getting closer to enlightenment. This absence of a total, universal dogma fostered a public sphere that is worthy of Kant’s approval: “[I]t is absolutely impermissible to agree, even for a single lifetime, to a permanent religious constitution which no-one might publicly question. For this would virtually nullify a phase in man’s upward progress, thus making it fruitless and even detrimental to subsequent generations” (61). Despite designating Protestantism as the official religion of Prussia, the great leader assured that a total independence from religious dogmatism would take place in the public sphere of his nation. However, what does the enlightenment of a mass consist of? The eminent German philosopher Moses Mendelssohn once said that: “[e]ducation, culture and enlightenment are […] efforts of men to better their social conditions” (53). Looking at this definition, we could suppose that enlightenment is a process of improving a public’s social condition. The public of Frederick, in fact, confirmed Mendelssohn’s definition of enlightenment by gaining political and cultural freedom. On the other hand, we can look at Immanuel Kant’s definition: “Enlightenment is mankind’s exit from its self-incurred immaturity” (58). The public satisfied that criterion as well. The introduction of the public sphere allowed citizens to independently pursue knowledge and “to use one’s own understanding without the guidance of another” (58). The enlightenment of a public, therefore, has a dual purpose: to better the social condition of the population and to foster its autonomy. This awakening, this opening of the mind, however, can only be pursued with a diligent and careful study of culture: “Education is composed of culture and enlightenment” (Mendelssohn, 53). The scholarly pursuit of knowledge and expansion of mind is envisioned by Kant as an action that has to be performed in the public sphere: “…by the public use of one’s own reason I mean that use which anyone may make of it as a man of learning addressing the entire reading public” (Kant, 60). This model is reminiscent of the Greek agora, where people used rhetoric to convey their opinions to their fellow citizens. The vision of the Kantian agora, however, is taken to a further level, where this address to the “reading public” is not only an instrument to divulge opinions, but a process of learning and enlightenment. The vision of the Kantian ‘agora’ , however is taken to a further level, where this address to the “reading public” is not only an instrument to divulge opinions, but a process of learning and enlightenment. The irony behind the Prussian government, we might say, is that it was far from a democracy. The monarchical system, however, did not compromise the freedom that could be exercised in the public sphere. This system, if anything, only helped to sustain this dynamic political sphere. Ernst Klein concisely explains the success behind Frederick’s government: “The invincible power of the Prussian army rests on subordination. This subordination, on the one hand so indispensable and on the other so burdensome, is moderated, but not obstructed, by the freedom to think out loud” (92). The military essence and philosophy of the Prussian nation seemed to give rigor and method to its citizens. This rigidity of thought, this great sense of purpose and duty for the nation, is what differentiated Prussia from the other European states, which were too focused on defining their bureaucratic procedures: “The freedom to think out loud is the surest bulwark of the Prussian state. […] There freedom serves in place of the checks and balances prized by Montesquieu, which work as often against the useful as against the harmful expression of royal power” (Klein, 92). From his youngest years, Frederick had already developed in his mind the perfect form of government: “The prince must be the first servant of the state. But if he was able to serve the state effectually he must have absolute freedom to do his subjects good” (Horn, 32). The Prussian state was characterized by a strong and resolute government, which sought an uncompromised pursuit of freedom, necessary for the enlightenment of its citizens. The freedom to think out loud is the surest bulwark of the Prussian state. […] There freedom serves in place of the checks and balances prized by Montesquieu, which work as often against the useful as against the harmful expression of royal power. Kant, who was teaching at the University of Königsberg during the reign of Frederick, passionately celebrated the religious tolerance of the king: “A prince who does not regard it as beneath him to say that he considers it his duty, in religious matters, not to prescribe anything to his people, but to allow them complete freedom, a prince who thus even declines to accept the presumptuous title of tolerant, is himself enlightened” (62). Just like his public, however, Frederick did not become enlightened before going through the painstaking path of education. After many years spent studying the great texts, Frederick understood and fully realized the power of education and culture. Once crowned, the king put a great emphasis on the cultural sphere of his public. Once again, this great achievement did not pass unnoticed from the eyes of Kant, who said that “[i]n this respect our age is the age of enlightenment, the century of Frederick” (62). Even more formidable was the ability of the king to establish a dynamic political scene – by allowing the freedom of the press – and balance it with a strong focus on the cultural sphere. As seen in Arendt’s text, this compromise was never accomplished before. On the question of whether he considers his age enlightened, Kant responds: “…No, but we do live in an age of enlightenment” (Kant, 62). Much like Karel Čapek’s garden in The Gardener’s Year, a nation’s process of enlightenment is never complete. “A garden is never finished. In that sense it is like the human world and all human undertakings” (95). There will never be a point in history when a nation transcends the limitations of human understanding. We can, however, choose to keep a record of humanity’s “words and deeds,” not only to take pride in our accomplishments, but to leave a mark, and to bequeath a heritage to the following generations, so that they can also achieve enlightenment as a public: “All of culture begins with this kind of world-making, which in Aristotelian terms is already an athanatidzein, a making-immortal” (Arendt, 189). This inherited culture, however, is nothing without a dynamic public sphere, a political scene where people are free to inquire, explore, and discuss. The Enlightenment of a nation, at the same time, will never be achieved without a combination of the cultural and the political – a cultural sphere to guarantee the permanence of the world, and a political sphere to sustain an essential freedom of expression. 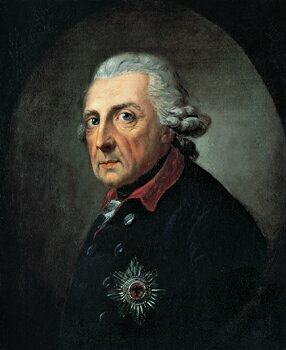 For these reasons, Kant saw Frederick of Prussia “as the man who first liberated mankind from immaturity” (62). Hannah Arendt “Culture and Politics” in Reflections On Literature and Culture, ed. Susannah Young-ah Gottlieb, (Stanford University Press, 2007), 179. Moses Mendelssohn, “On the Question: What is Enlightenment?” in What Is Enlightenment? : Eighteenth-century Answers and Twentieth-century Questions, ed. Schmidt, James (University of California Press, 1996), 53. Immanuel Kant, “An Answer to the Question: What is Enlightenment?” in What Is Enlightenment? : Eighteenth-century Answers and Twentieth-century Questions, ed. Schmidt, James (University of California Press, 1996), 58. Ernst F. Klein, “On Freedom of Thought and of the Press: For Princes, Ministers, and Writers” in What Is Enlightenment? : Eighteenth-century Answers and Twentieth-century Questions, ed. Schmidt, James (University of California Press, 1996), 87. “Frederick II.” Bio. A&E Television Networks, 2014. Web. 27 Nov. 2014. Horn, D. B. Frederick the Great and the Rise of Prussia. London: English Universities Press, 1964. Scott, H. M. Enlightened Absolutism : Reform and Reformers In Later Eighteenth-century Europe. Basingstoke, Hampshire: Macmillan, 1990. Carlyle, Thomas. History of Friedrich II, of Prussia: Called Frederick the Great. Boston: D. Estes, 190. Jürgen Habermas “The Public Sphere: An Encyclopedia Article” originally appeared in Fisher Lexicon, Staat und Politik, new edition (Frankfurt am Main, 1964), pp.220-226, translated by Sara Lennox and Frank Lennox. Čapek, Karel. The Gardener’s Year. Modern Library Gardening, 2002.